Today’s beer is another South American one! It comes to us from Well folks, here we have come at last. The last day that I will posting with the calendar. I will be back posting the final beers when I return from my trip. In the meantime I will be making every effort to post on beers I am trying while on the trip, so you don’t feel like you’re missing out. Today’s beer is another South American one! It comes to us from GUYANE FRANÇAISE, or French Guiana, located in the northeastern region of South America bordering Brazil (to the south) and Suriname (to the west) with the South Atlantic Ocean on its eastern side. Founded in 2010 as an amateur microbrewery, they brewed their first beer in 2011 and opened their brewpub doors in Cayenne. In 2012 they grew to allow 10 times as many people into their brewpup and began selling their beer throughout French Guiana. This is also the year they introduced there second two beers, the Weiti (which we get to try today) and their blonde. Today, in 2014, they have finally begun to export for the first time, to Canada! Now, their Weiti is a White beer (wheat beer) that has been flavoured, lightly, with oranges. They use malted barley and wheat to give it the specific white beer characteristic of being creamy. Like many wheat beers, this one is not filtered to allow for the flavouring of the oranges to remain intact. This beer would likely be reminiscent of Shock Top or Rickard’s White (I would guess) and I am excited to see! On to the beer! Appearance: Golden brown, cloudy, with a significant head that retains until consumed. Smell: Strong citrus smell, the orange really comes through. Taste: As I expected, quite a lot like Rickard’s White and Shock Top. Creamy orange flavor that goes down smoothly and is packed with malty sweetness to go with the tangy citrus notes from the orange. Overall: While this one is a more traditional Belgian Wheat Beer, the citrus notes add quite a bit to the balance and over all flavours of this beer. The fact that I would put it above Rickard’s White or Shock Top in terms of balance, flavor, and overall quality of a Belgian white is a strong nod to this South American microbrew. Do I like it: I do, quite a bit, like this one. 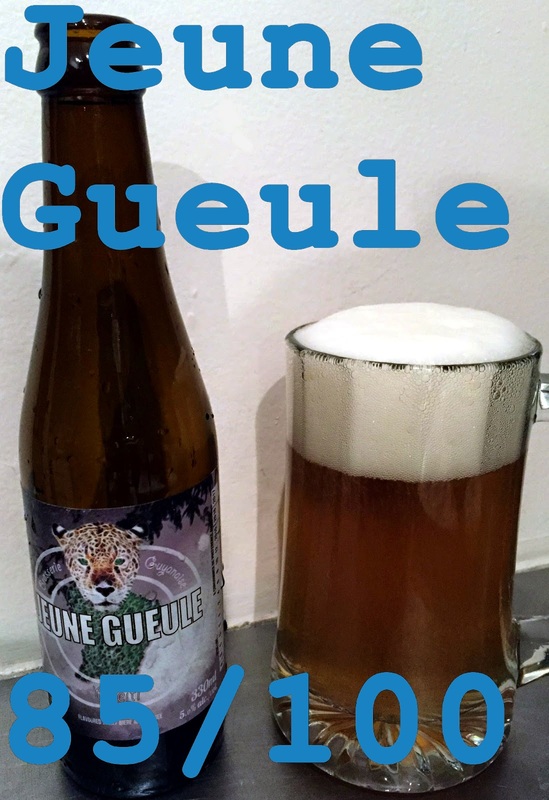 While it is not as strong as the Hop Blanc was, lacking the nice bitterness from the hops, it is a strong Belgian Wheat Beer that brings a lot to the table. It is certainly something I’d drink again and definitely one of my top choices so far. Maybe Belgian Wheat’s are my new style?